Team member following proper safety protocol & an image of our autoclave. In the design of the construct our team chose to use a lab strain of Bacillus subtilis, as it is a naturally occurring bacteria found in dirt and plants, so it is not harmful to the environment. Our construct is intended for use as a protein bio-tag manufacturing system. The bio-tag protein would be isolated and purified for use, ensuring no live bacteria enter a sorting or recycling facility at any time. In the process of applying our bio tag in the real world, the plastics will be bathed, rather than sprayed with the protein, to avoid airborne proteins and potential contamination. Once plastic has been bio-tagged and sorted, it can now get recycled. In the recycling process plastic is shredded and melted down. The heat that is needed to melt the plastic will denature the proteins to stop potential environmental contamination. With future trials, the protein’s persistence in environmental conditions would need to be determined. Collaboration with Environment Canada and Health Canada would likely be required to introduce this novel bio-tag into current industrial processes. 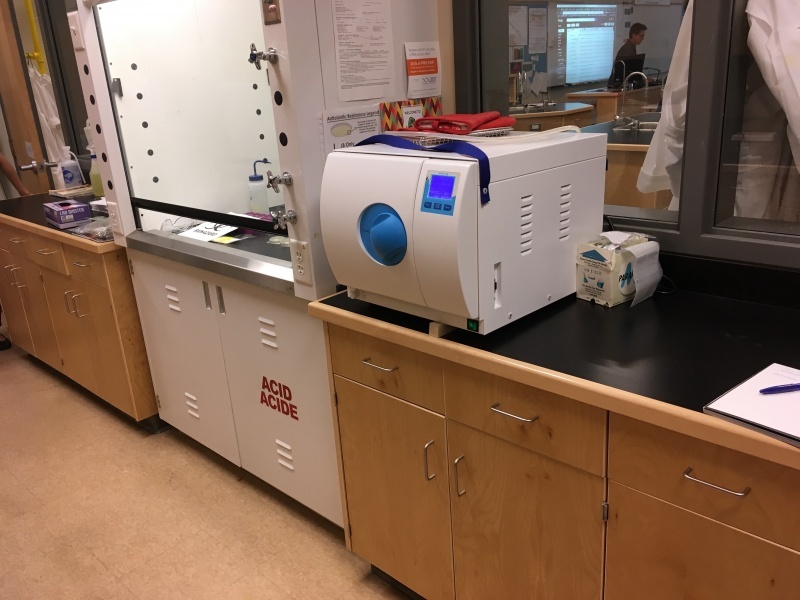 When running test and dealing with proteins and Bacillus subtilis, all lab safety protocol needs to be followed at all times. This includes wearing the proper attire such as long pants, closed toe shoes, lab coats, lab gloves, and safety goggles or glasses. Once finished, all waste needs to be chemically and heat treated by bleaching and putting equipment, like beakers, into the autoclave. Other equipment, pipette tips, need to be disposed of correctly in biohazard bins.